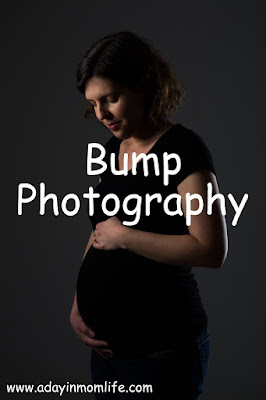 Bump pictures are a fun part of pregnancy. 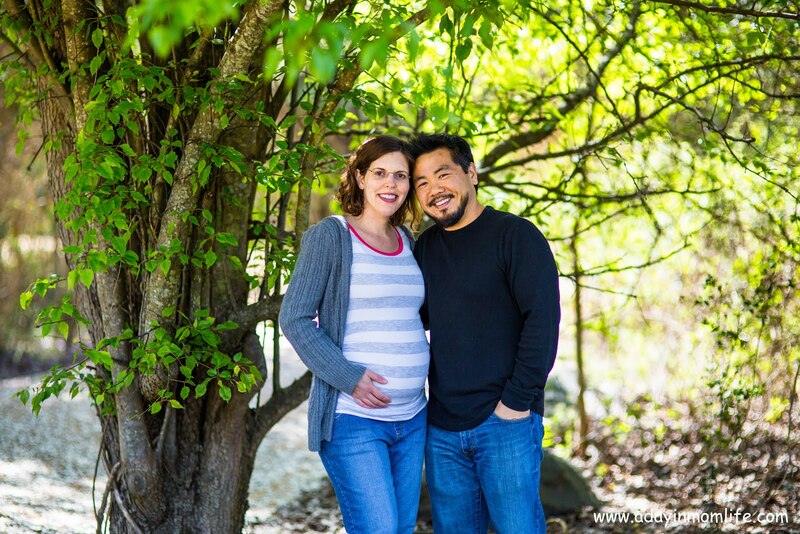 I'm so lucky that my husband's hobby is photography and we have a studio set up in our home. Photo credits to Jonathan Li Photography. But even if you don't have access to a studio or cannot afford professional maternity pictures, there are plenty of easy ideas to document your pregnancy! I would encourage every mom to take some type of pregnancy progression picture! They don't have to be in a studio. Just pick a place in your house (any blank wall will do) and take a picture in a consistent pose every month. We reduced to just 3 pregnant pictures for the final picture below, 12 weeks, 24 weeks, and 36 weeks, but we took a picture each month. 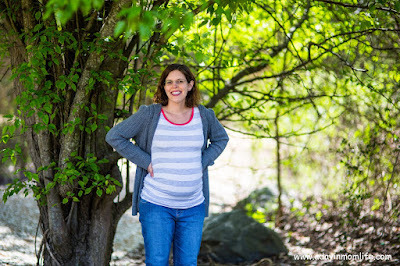 Pick an outfit that will grow with you or one you can modify - I started out in my regular jeans and a black v-neck t-shirt and changed to maternity jeans and a black v-neck maternity t-shirt with the gathering on the side. Keep in mind - Posture is key! 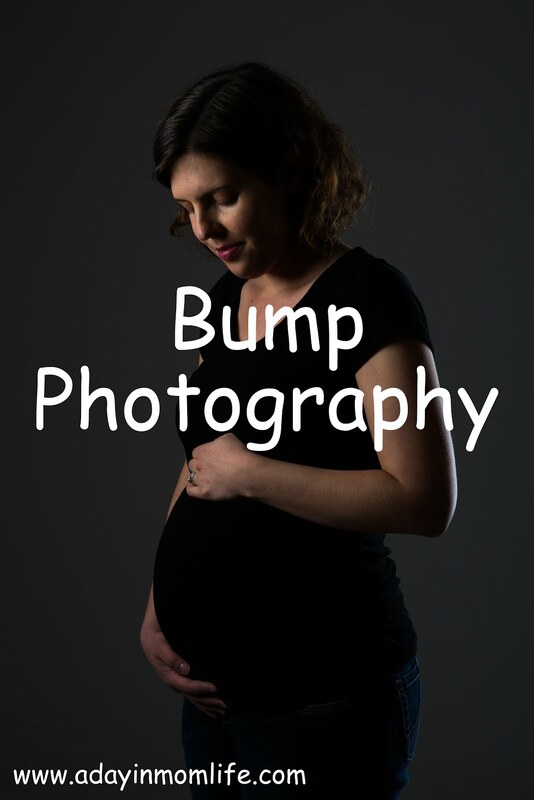 Your bump will look the biggest and the best when you are posed in a quarter turn. Also pay attention to your feet, placing one slightly in front of the other. 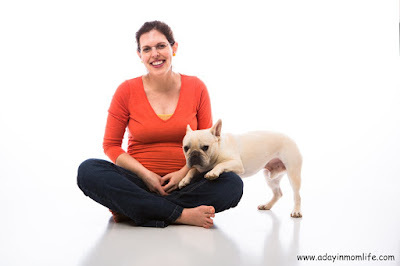 You hands can be used on the top and/or bottom of your bump to accentuate it. The most difficult thing for us was taking pictures together because he had to use a tripod and get the shot set up ahead of time. 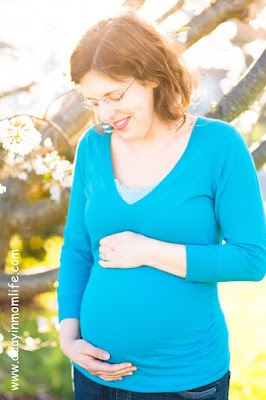 I am a little jealous of the beautiful "couple maternity" pictures my husband has taken for our pregnant friends! 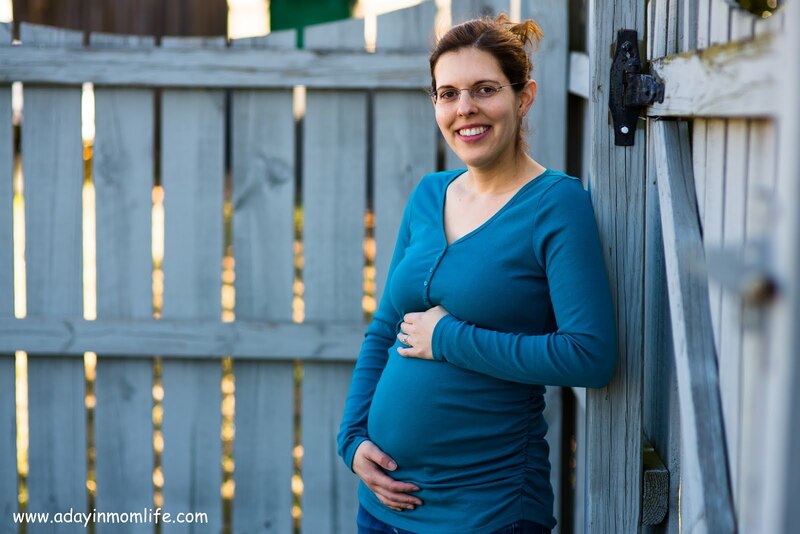 You will never regret taking too many pictures during your pregnancy! I wish we had done some "on location" shots at the lake or downtown. Get your camera out and take some pictures ladies!